New Orleans Shifts Away From Symbols Of Old South : The Two-Way The City Council votes to remove four prominent Confederate monuments. The decision comes after four decades of work by activists — and months of heated debate. 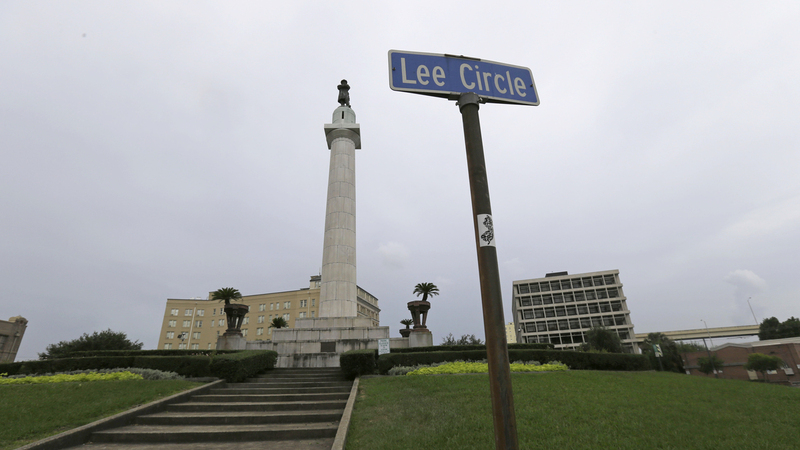 The Robert E. Lee Monument in Lee Circle in New Orleans is one of four prominent Confederate monuments the City Council has voted to remove. A statue of Confederate Gen. Robert E. Lee has anchored a New Orleans traffic circle for more than 130 years. But Lee Circle could soon be history. The New Orleans City Council voted 6-1 Thursday to remove four prominent Confederate monuments as a public nuisance. The decision came after heated debate over what the memorials represent. "If anybody wins here it will be the South, because it is finally rising now that we're taking these down," said City Council President Jason Williams. Civil rights activists have tried to have the monuments removed for decades, but this year New Orleans Mayor Mitch Landrieu renewed the push in the wake of the Emmanuel Church killings in Charleston, S.C., this summer. Photos circulated of the alleged gunman posing with a Confederate flag. Shortly after the vote, Landrieu signed the ordinance that calls for the relocation of statues of Lee, Jefferson Davis and Gen. P.G.T. Beauregard, as well as a monument to the Battle of Liberty Place, an uprising by Confederate veterans during Reconstruction. Landrieu called the vote "a courageous decision to turn a page on our divisive past and chart the course for a more inclusive future. Symbols matter and should reflect who we are as a people." Councilwoman Stacy Head was the sole vote against the ordinance. She said "destroying public sculptures ... is not going to bring real healing." An anonymous donor will pay to have the monuments taken down. City officials say they'll be stored in a warehouse until plans are developed for a park or museum where they can be displayed with fuller context. 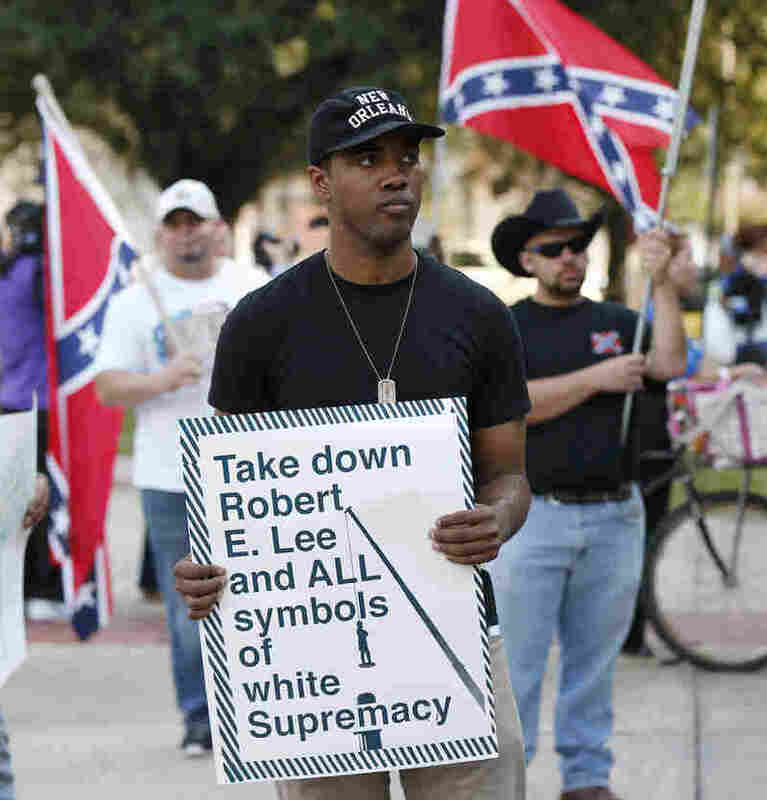 Elsewhere, governments and universities in Alabama, Mississippi, Texas and South Carolina have removed Confederate symbols from prominent public display.